We understand that every individual’s story is different and we’ll do our best to listen to your version of the story while we consider the facts that our agency provides us. On our application, there is a section in which you’ll have the opportunity to explain why a collection or judgment occurred. This section should be filled out completely so that we can interpret the data through a different set of eyes and hopefully assist you in renting the home of your choice. If there are ever any questions regarding your application, feel free to call us at 970-221-2300. 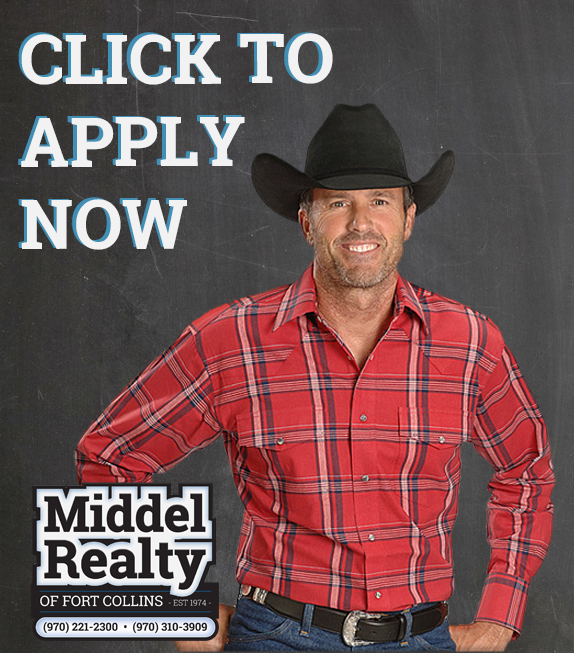 You may also e-mail us at info@middelrealty.com. Note: We recommend telling your employer that we will be contacting them. If you let them know that we will be calling, this will help move the process along much quicker. Consider filling out an application to rent if you want a particular house. If you are just looking around, haven’t found the right home just yet, or don’t feel that it is time to submit your application, feel free to fill out our Customer Form. This will allow us the privilege of keeping you up to date about homes as they become available.